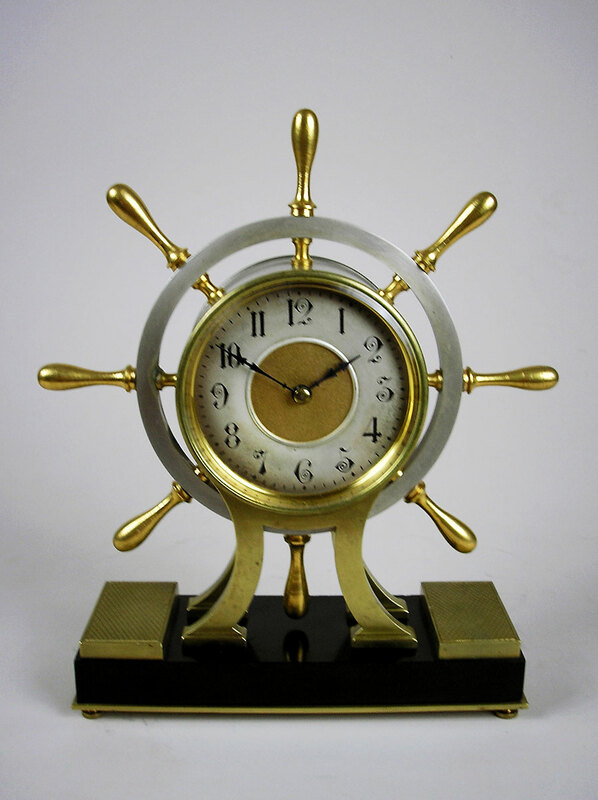 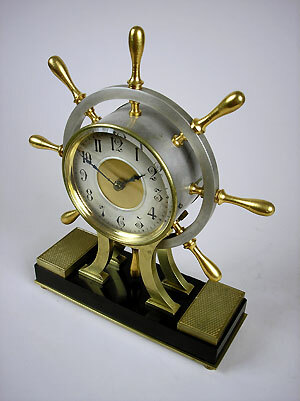 This is a French novelty clock in the form of a ship's wheel. 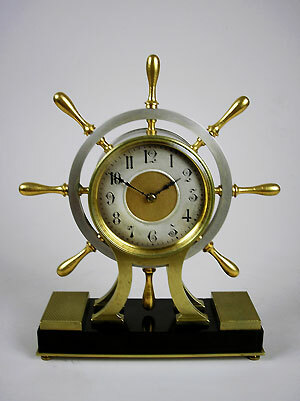 The clock has an eight-day movement and the dial is silvered with a gilt centre and Arabic numerals. 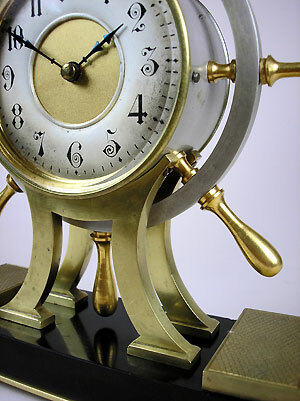 The case is gilt brass and nickel mounted on a black slate base.